SAN FRANCISCO (April 11, 2017) — In its new Virtual Reality Industry Report: Spring 2017, Greenlight Insights forecasts total virtual reality revenues to reach $7.2 billion globally by the end of 2017, of which, head-mounted displays (HMDs) will account for $4.7 billion. New VR headsets powered by Microsoft's Windows 10 operating system will spark demand by enterprise firms for VR-related hardware, software and services. Consumer reaction to the rapid proliferation of LBE centers, which emerged in 2015, are now a core component of an early distribution marketplace for VR content producers. Greenlight Insights notes rising utilization rates and forecasts LBE centers to become a $1.2 billion segment in 2021. 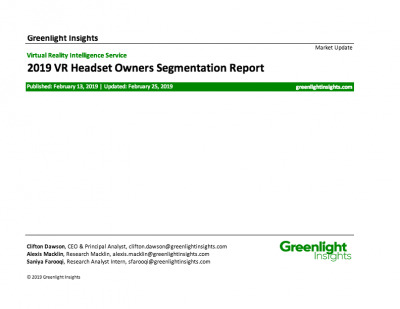 Findings from Greenlight Insights’ State of the VR Industry survey, the largest continuous global study of industry professionals, including content developers, hardware manufacturers, distributors, media and entertainment providers, and investors. The Virtual Reality Industry Report is available now. 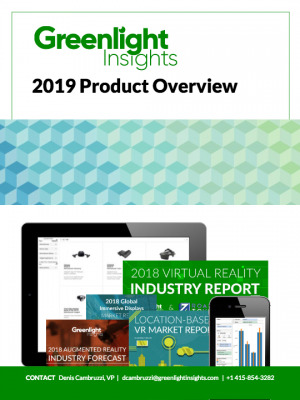 For more information, including how to order, visit http://www.greenlightinsights.com/reports/2017-virtual-reality-industry-report. Founded in 2011, RoadToVR is the world’s largest independent news publication dedicated to the consumer virtual reality industry. You can learn more about RoadToVR by visiting www.roadtovr.com. 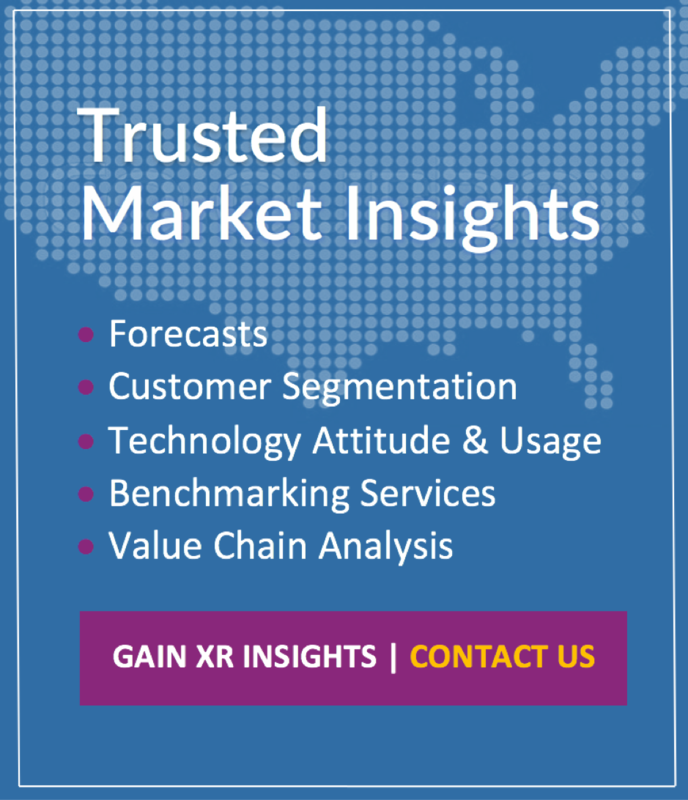 Greenlight Insights provides market research for global technology firms, publishers, brands, and innovative startups to help them make better strategic decisions about the New Experience Economy™. Visit www.greenlightinsights.com for more information and follow @AskGreenlight on Twitter.